CRAZY COOL GROOVY!!! : NCAA BASKETBALL RECRUITING SCANDAL On SPORTS ILLUSTRATED MAG!!! NCAA BASKETBALL RECRUITING SCANDAL On SPORTS ILLUSTRATED MAG!!! 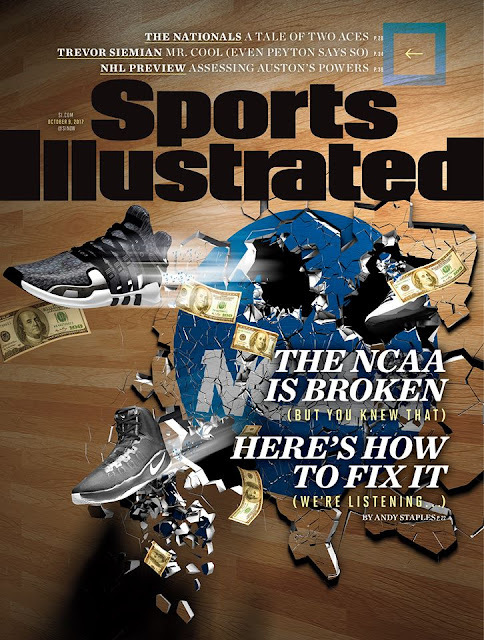 The recently-revealed NCAA BASKETBALL RECRUITING SCANDAL takes center stage as the cover story for the 2017 NHL PREVIEW ISSUE of SPORTS ILLUSTRATED Magazine!! !